Saturday, the dual political mailers paid for by George and Aaron Park a.k.a. 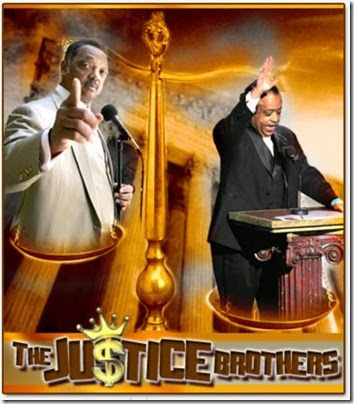 the Just Us Brothers hit mail boxes across Placer County. The funds from Measure M—the Placer Transportation Tax hike—have made their way to the Roseville School Board and Roseville City Council races. Supporters of Measure M gave money to the League of Placer County Taxpayers. 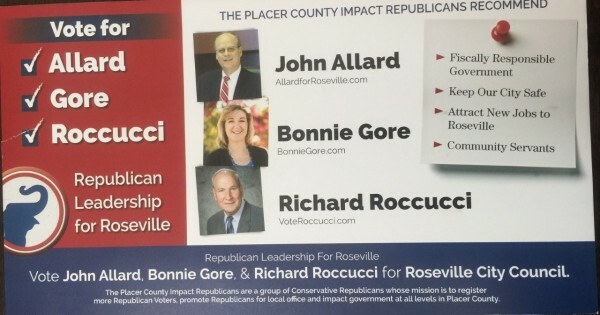 $27,000 of this money then went to the Placer County chapter of California Impact Republicans. 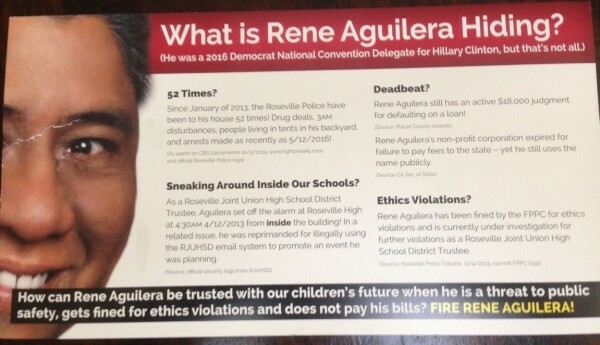 PCCIR then used some of that money to buy two political mailers for the Roseville City Council and School Board races. The interesting thing is the commonalities that are shared by this whole thing. 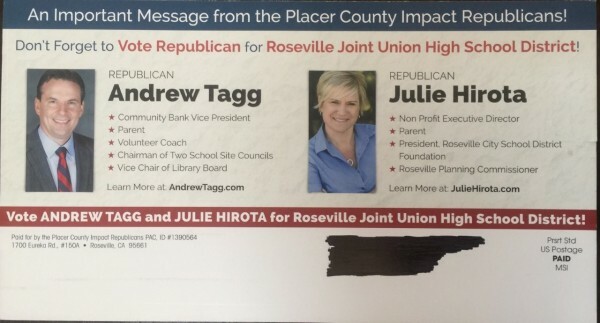 Guess who the Treasurer is for League of Placer County Taxpayers, Placer County chapter of California Impact Republicans, and candidate Andrew Tagg? The second commonality is County Supervisor Kirk Uhler. Placer Impact Republicans, League of Placer County Taxpayers, and Kirk Uhler all reportedly work out of Uhler’s Rensa Group offices.